File- - [Album of] Photographs of City Museum and Art Gallery, Vancouver, B.C. Item: CVA 677-711.15 - City Museum and Art Gallery, Great Fraser River Shell Mound exhibit, Vancouver, B.C. Item: CVA 677-711.8 - City Museum and Art Gallery, main floor, looking east, Vancouver, B.C. 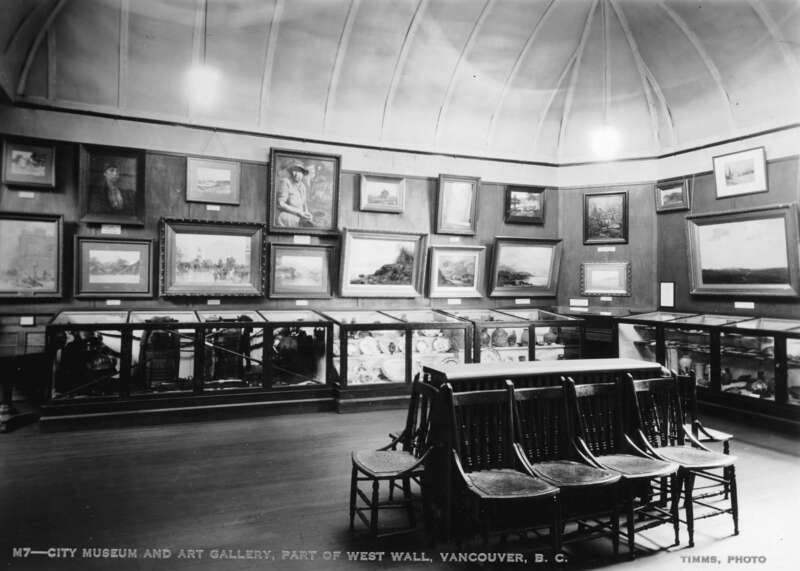 Item: CVA 677-711.12 - City Museum and Art Gallery, natural history corner, Vancouver, B.C. Item: CVA 677-711.11 - City Museum and Art Gallery, part of west wall, Vancouver, B.C. Item: CVA 677-711.16 - City Museum and Art Gallery, three types of B.C. Indian skulls, Great Fraser Midden, Vancouver, B.C. Item: CVA 677-711.9 - City Museum and Art Gallery, West Coast Indian, and Pauline Johnson exhibit, Vancouver, B.C. Item: CVA 677-711.7 - City Museum and Art Gallery, west from curator's desk, Vancouver, B.C. Item: CVA 677-711.13 - City Museum and Art Gallery, west of main section, Vancouver, B.C. Item : CVA 677-711.11 - City Museum and Art Gallery, part of west wall, Vancouver, B.C. [Album of] Photographs of City Museum and Art Gallery, Vancouver, B.C.